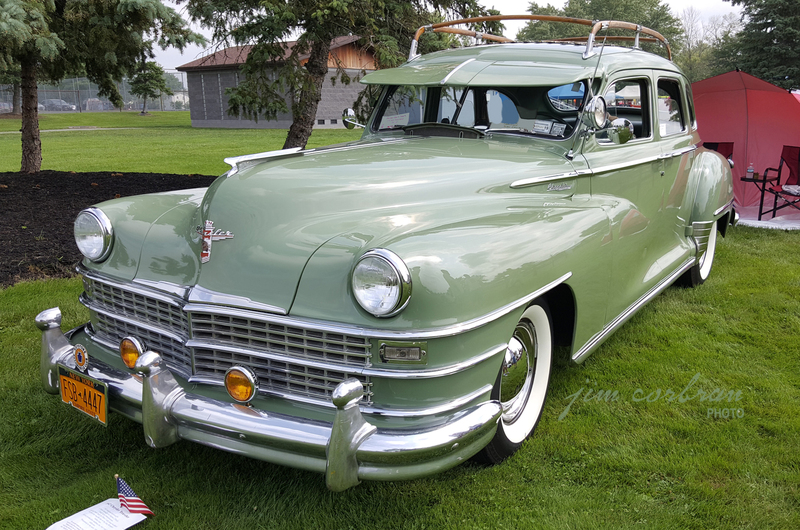 This 1947 Chrysler Traveler is one h-u-g-e car! That rooftop luggage rack, according to one source on the internet, was produced by noted boat manufacturer Chris-Craft. Part of the Windsor line, the Traveler was meant to appeal to — travelers! Although you’d think with an already expansive trunk area, there wouldn’t be much need for additional storage space out in the elements. 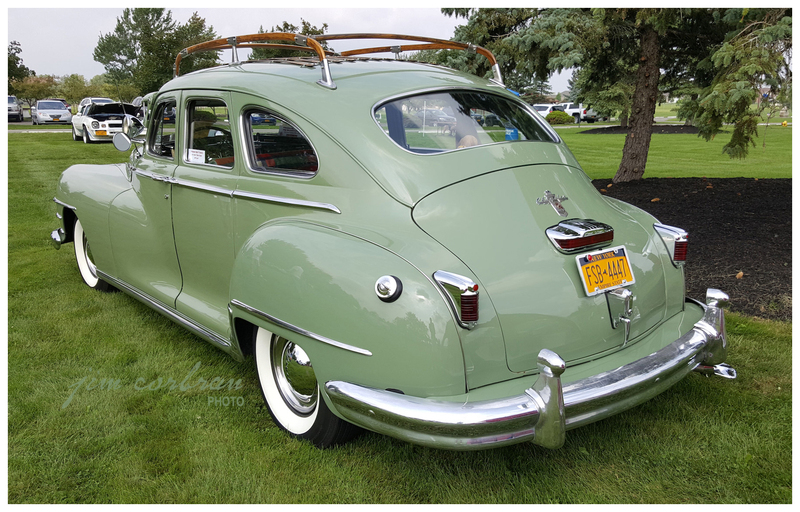 DeSoto sold a similar model called the Suburban, but as an added bonus it also had rear seats which folded down into the trunk area — a precursor to today’s hatchbacks. 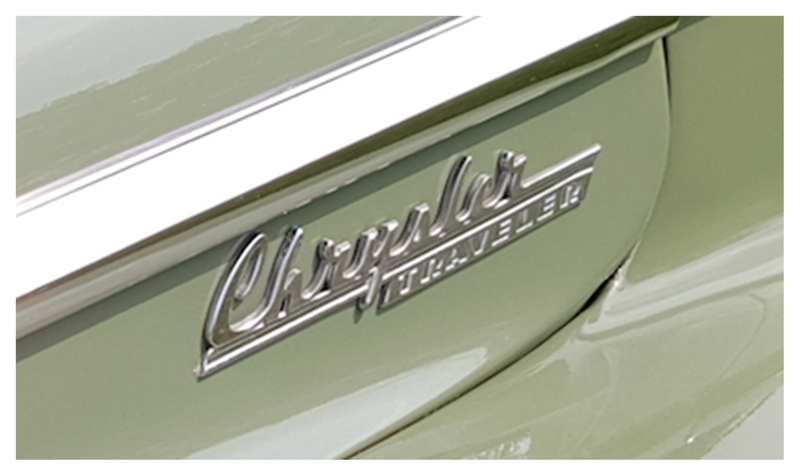 This Heather Green example was seen over the summer in Wheatfield in Fairmount Park’s Wheels of Wheatfield Car Show.